How to add/edit/remove Status labels? 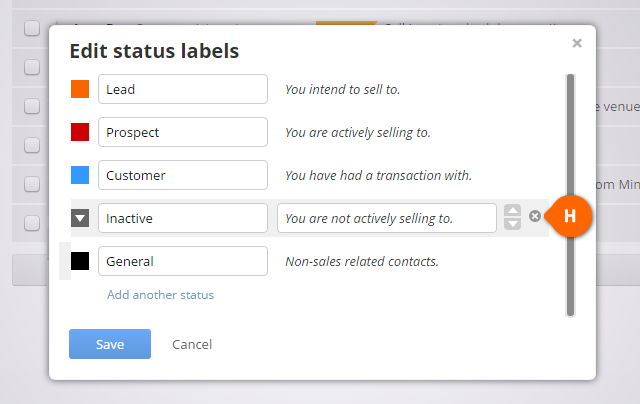 To update your Status label or Status order, open the Status menu in the left column and click Manage... (see A). Click on the Add another status link (see B). 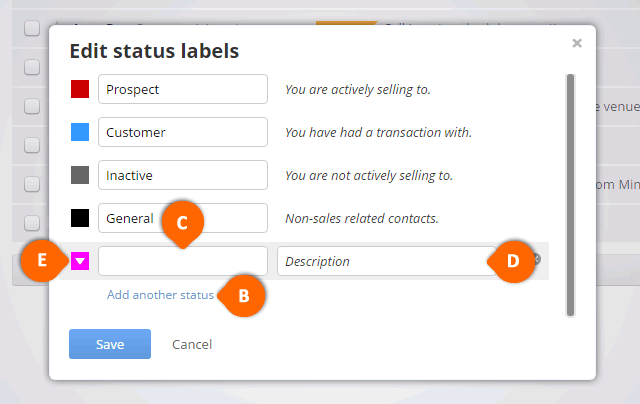 Enter the Status Label name (see C) and Description (see D). To apply Status color, open the color palette by clicking on the colored square (see E). Press Save to add new Status label. Click on the selected Status to amend. 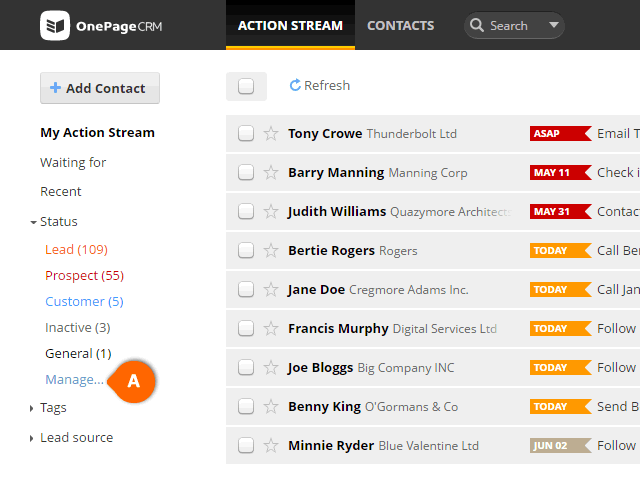 Change the Status position by clicking on the up and down arrow (see F). 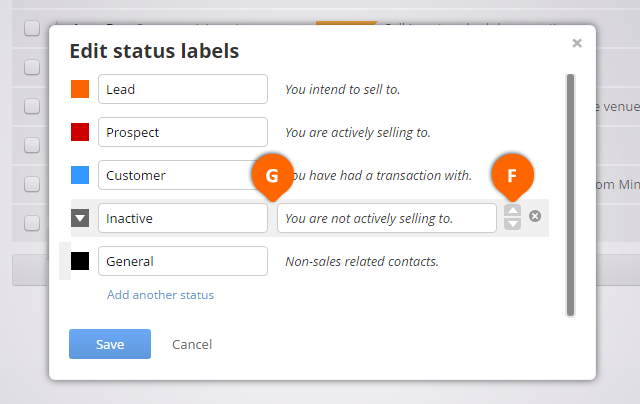 Edit the Status label and Description by clicking on the text box (see G). Mouse hover over the Status to be deleted and click on the x icon (see H). Click Save to delete the Status. Only an Account Owner or Administrator can add/edit/delete status labels.